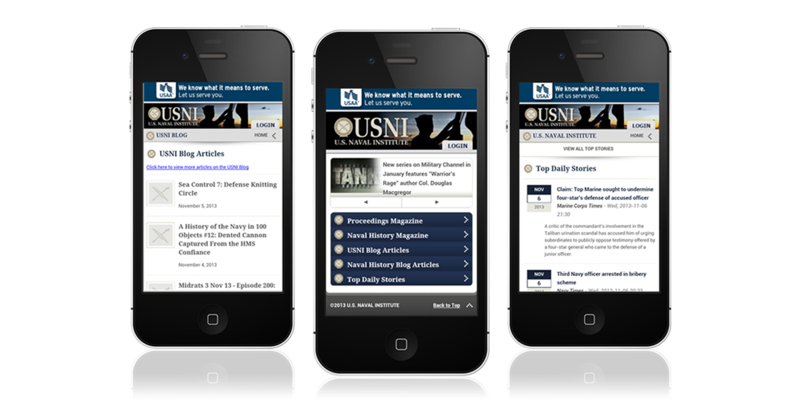 USNI publishes two magazines and a blog that are widely read by mid-grade and junior military personnel. 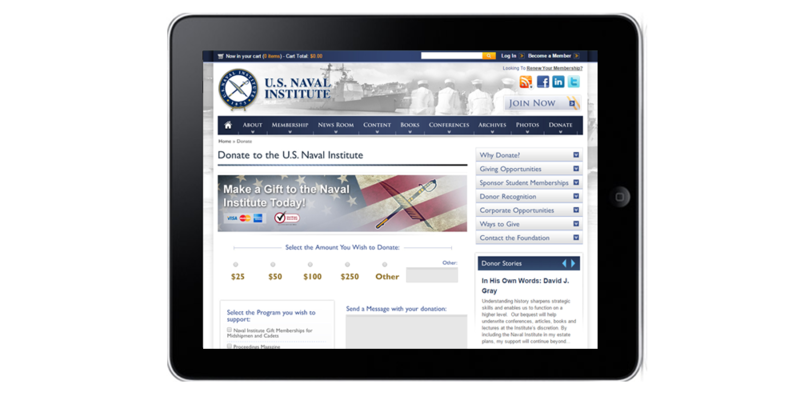 In order to appeal to this readership and establish itself as a leader among military nonprofits, USNI wanted a design that not only reflected the mission of the organization, but also incorporated the latest in web technology. USNI delivers a lot of content to its readers and had to manually correlate similar articles. This activity was particularly challenging because different departments were responsible for managing their own content, making correlating content across those departments very complex. Additionally, as with any members-based organization, USNI was challenged with keeping its records up to date. USNI had disparate databases that all had to be updated manually, taking hundreds of hours a year and impacting data accuracy. They needed a way to centralize their member information to keep all records continually current. Finally, USNI articles had been posted on the Drudge Report on numerous occasions, causing significant impact to site load times and user experience during those events. 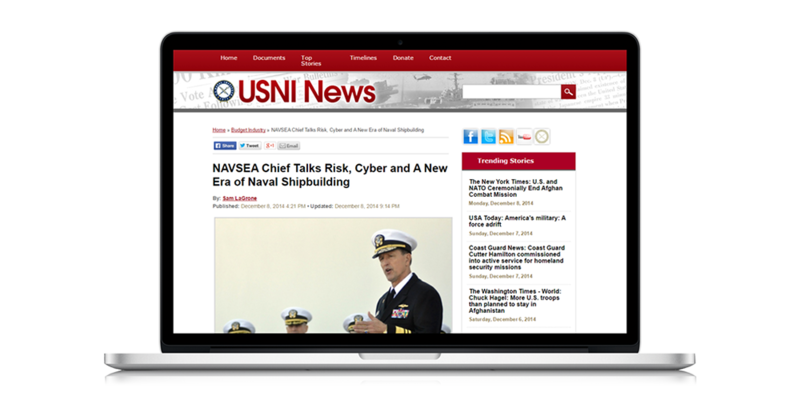 USNI needed a site that was fully optimized with caching for high performance availability. 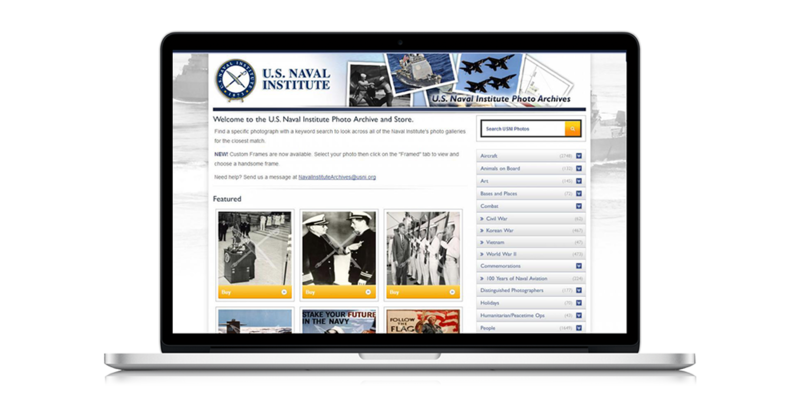 The United States Naval Institute has a sustainable web presence that’s focused on user experience, makes its valuable resources easy to find and access, reduces manual efforts and improves optimization. Sustained sub-two second load times even when under the pressure resulting from a Drudge Report hit with 2,200 – 2,500 concurrent visitors over several hours – outperforming others in the industry. 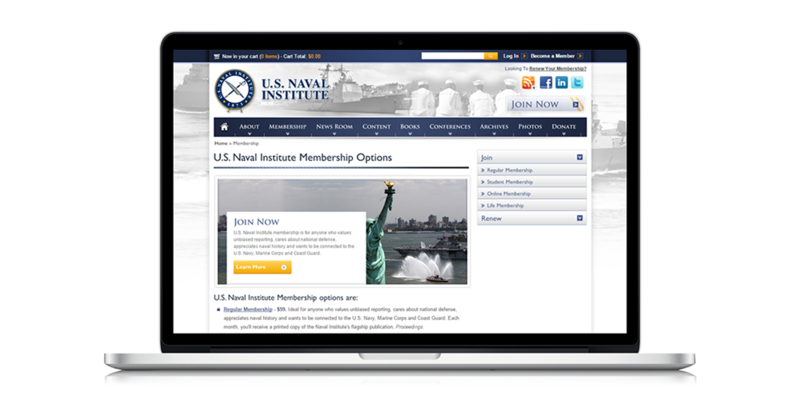 The return on investment (ROI) for the United States Naval Institute has been not only financial, but also in process automation, industry leadership, and a strong relationship with a company that’s invested themselves in making sure whatever decisions are made regarding the USNI web presence are the right ones.